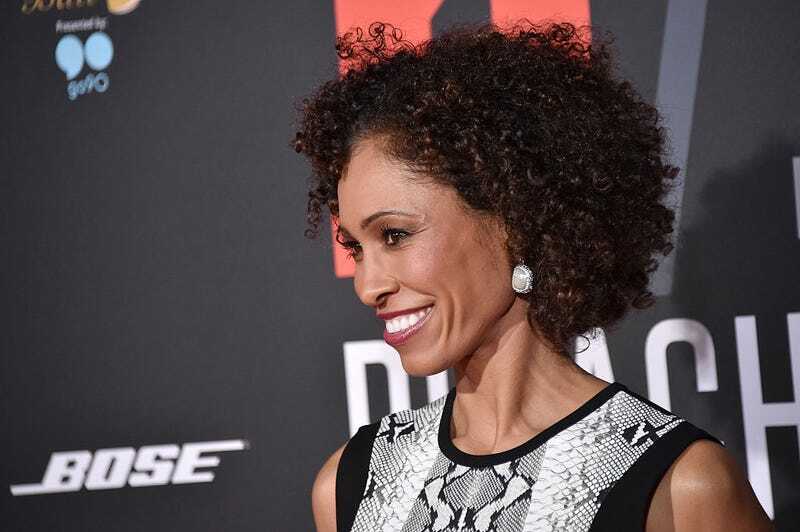 ESPN analyst Sage Steele’s invite to the cookout has long been rescinded, and now her job as host of NBA Countdown on ABC and ESPN has come to an end. With the playoffs just around the corner, Steele will be replaced by Michelle Beadle, the co-host of SportsNation, who is expected to host the pregame and halftime NBA shows on ABC, the Washington Post reports. Steele hasn’t been one of black America’s favorite people since she took African-American men to task for protesting the killings of unarmed African-American men, women and children. And let’s not forget that time people protested the Muslim ban and Steele was super annoyed, and not because the ban was totally xenophobic and fucked up; she was mad because she was going to miss her flight. And because the biracial host has been critical of African Americans on social media, it didn’t take long for social media to bite back. RIP, Sage Steele, wherever you are, because no one watches SportsCenter on the Road. May your presence on social media dwarf back to nothingness; or maybe, just maybe, you can move over to Fox News, where your commentary belongs.